Cookstown District Council has spent £807,000 on refurbishing leisure facilities, sports arenas and parks in its last year in business. This news comes off the back of a Freedom of Information request to the now defunct council, asking for a list of ‘spends’ worth over £10,000. The council, in one of its last meetings took the decision to order a marque worth over £25k for future events and spend a further £27,100 on 30,000 jute shopping bags with ‘Cookstown’ on the front. These bags are often given out free at council events. 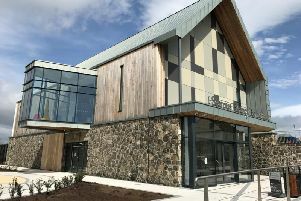 Cookstown Leisure Centre cost ratepayers almost a quarter of a million, with around £174k of that sum being spent on refurbishing the facility. A further £26k was used to buy new equipment, while it cost £10k just to heat the place between April 2014 and 2015. The upkeep of Mid Ulster Sports Arena, however, was 27 per cent more expensive than the leisure centre, costing £302k. The most of this went on upgrading the pitches and arena (£162k) while £84k was spent on certification. Children’s play parks in the town and outlying sites such as Davagh Forest cost ratepayers another £237k, while performance fees at the Burnavon totalled just over £10,000. Contractor works at Davagh Forest were another £30,928.11 and on top of this Cookstown spent an astonishing £126k on the various insurances it has in place. However, not all of the council’s expenditure went on leisure facilities - it cost residents £262,548 to put diesel in the council fleet, £82k for oil - though it is not clear if this for the oil savings scheme. Council LED Programmes cost the ratepayers a further £236,680 and IT support was £16k over the whole year. As well as this, the cost of sending Cookstown’s rubbish to landfill cost ratepayers almost £1.5m in tax alone, in the last financial year. This landfill tax, which goes straight to HMRC, was originally intended to encourage organisations to find more ‘eco friendly’ ways of dealing with waste. Cookstown council forked out an extra £242k for plant and machinery fees at Magheraglass Landfill Site. A further £301k was spent by council on sorting and disposing of recycling - a mere 15 per cent of the total £1.9m that household waste cost. As well as the cost of dealing with rubbish - one of the council’s essential services said its last chief, Adrian McCreesh - the council spent almost £15k on bedding flowers and a further £63k for the upkeep of outlying villages - over half of which was spent on contractor works.